Way back before the internet was the thing, bulletin board systems (BBS) were the thing. Someone had a computer hooked up to a phone via a modulator-demodulator (modem) and was running a BBS, which you could call with your computer, using some terminal software and a modem of your own. You could read people's messages and leave your own, upload and download files, chat with the system operator (SysOp), or play a game. In the early days (up to the early 1990s), people had to use phone lines, but since then, calling up certain boards through different means are possible. 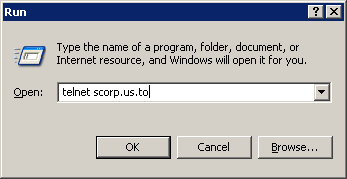 Anyone with a Windows or Mac computer can connect to many telnet BBSes these days, for example. 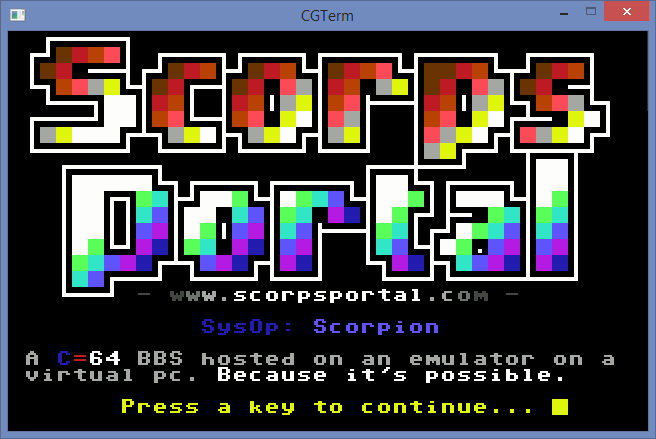 The standard for characters (or 'font', if you will) is ASCII (and, in most cases, the more colorful ANSI), but some BBSes run on systems with different types of characters, such as Commodore 64 BBSes, which run on PETSCII (also known as CBM ASCII). These boards can be visited using special software, although some of them support ASCII and/or ANSI. 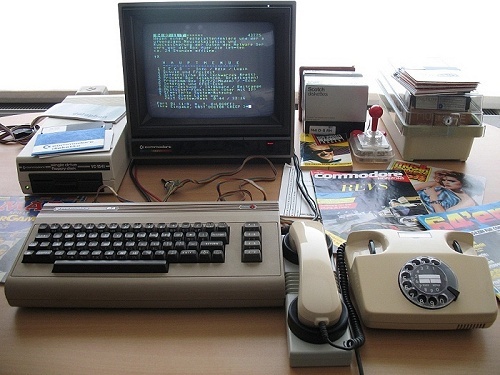 BBSes were very popular during the 1980s, although connections were slow, and BBSes usually supported only one caller at a time. Downloads could be interrupted with bad phone connections, and unlucky Europeans, who had to pay per minute during a call, would pay a lot, especially when calling American BBSes. So why would people still bother connecting to a BBS? Isn't the internet way better? Well, yes. The internet is way better, faster, and easier. People still run BBSes and people still connect to them, purely for nostalgic reasons and purely for fun. Press Start and choose 'Run...'. Windows 8 users right-click on the bottom-left of their screen. You can also just hold Windows-key and press R.
Mac users should look here. Someone's already connected. Try again in a few minutes. The server is saving log files. Just try again. I'm carrying my laptop with me (most likely). Try again later. Since it's a Commodore 64 BBS, the best way to get the most out of the BBS is to connect to it using a real Commodore 64, but who has the time these days. Luckily there is CGTerm, a terminal program for Windows/Mac designed to connect to BBSes using PETSCII. You should go here and download it!